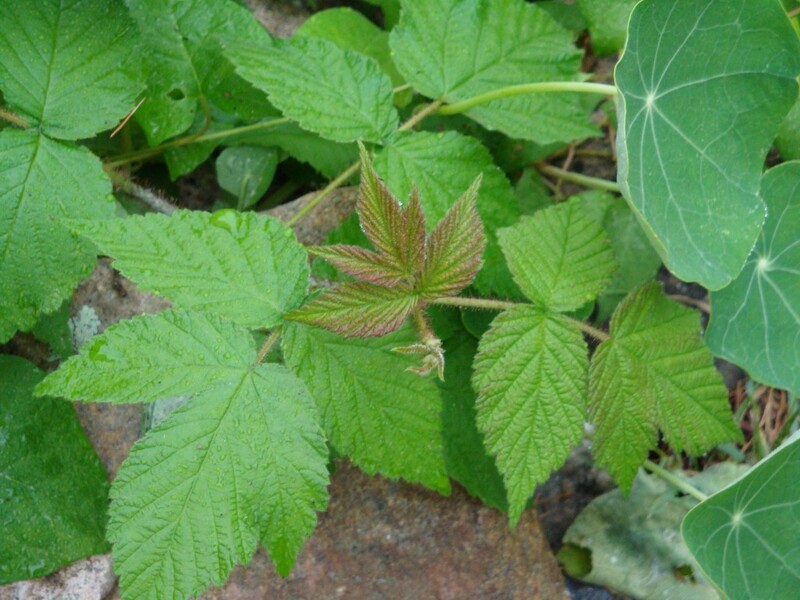 Hubby & I were in the car a couple weeks ago heading from the Homestead back south when one of the radio stations we listen to along the way had listeners call in with their home remedies for Poison Ivy. Which was extrememly appropriate given that hubby was just getting over a bout from the nasty vine. One of the Callers said he swears by Cider Vinegar or Malt Vinegar. Just dab some on a cotton ball and swab the affected area. What did hubs have to lose? So he tried it….AND IT WORKED! It took the itchness away almost immediately and it worked a heck of a lot better than Calomine Lotion. Now…if I could only get rid of the urge to have some fries with the Malt Vinegar I’d be good. To coin a phrase that I am really not too fond of… ‘Timing is Everything’….If we had not been in the car at that time listening to that particular radio station, we never would have heard about it. So if anyone out there comes manages to get themselves into a patch of poison ivy, now you now what to do! The smell of buttery, ooey-gooey cookies makes your mouth water instantly at the first whiff. Here in our household we have a large repertoire of cookie recipes, but we are really partial to a few standby’s that are easy to throw together and bake when we are pressed for time. Chocolate Chip Cookies and Peanut Butter Cookies top this list. What I like to do is make a HUGE batch of dough, then freeze half of the dough on cookie sheets in 1″ balls, when frozen, simply bag them up and store in the freezer. Then, when we get the urge for some fresh baked cookies without the fuss and mess of making the dough, you just place some frozen dough balls on cookie sheets, thaw and bake. Simple, fast, knock their socks off with the surprise of just baked cookies. So what is your favourite cookie? Anything unique or a family heirloom that you are willing to share? Would love to hear about them! Here is my recipe for Peanut Butter Cookies. Enjoy! In a large bowl or stand mixer, cream butter and peanut butter, add sugars and beat until well incorporated. Add vanilla, then the eggs, one at a time, beating well after each addition until light and fluffy. In a separate bowl, combine flour, salt and baking soda. Add to creamed mixture and mix thoroughly. Shape into 1″ balls and place on greased cookie sheets or parchment lined cookie sheets. Bake at 350°F for 8-10 minutes until golden. Remove to wire rack to cool. They are never the same from one day to the next. I am always awed about clouds and how they look. And sometimes there are just NONE! And then there are those pictures that sunset/scenic/trigger-happy camera people take just for the sake of it…. 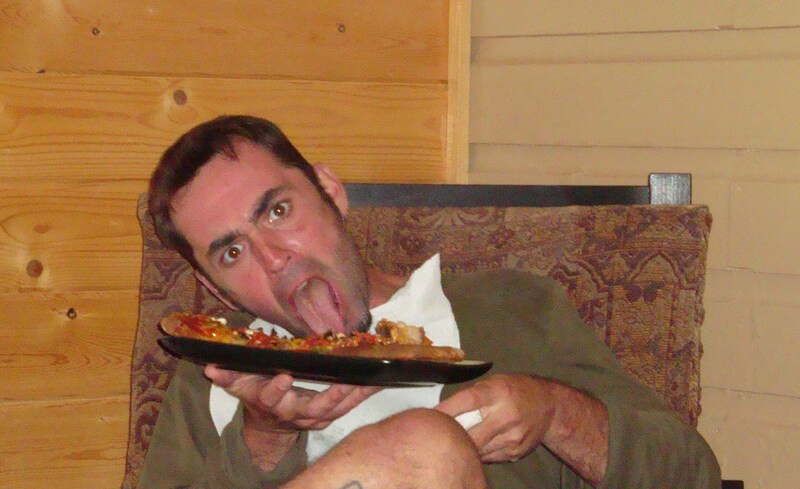 Somebody please take the camera away from my hubby…. I love Summer and hate to see it come to an end. I know my days of roaming around in flipflops and shorts are almost over. My wild flowers are fading and the flower heads are getting ready to scatter their seeds for next years re-birth. Even the leaves of a few Maples are already showing their Fall colours…way too early for my liking….they are pretty though. The past couple weeks have seen the nights cool considerably here on the Homestead. I even had to break out the sweaters on a couple days last week, much to my dismay…. and with that nip in the air, it has made me unpack the knitting needles and start knitting a new scarf. You can’t start early enough on making a new soft, cuddly scarf to ward off the soon to arrive winter chills. My daughter put me on to a great website for everything knitted last week. How in the world I never found this site sooner is beyond me, but I have been pouring over back issues of their seasonal features finding all kinds of neat stuff that I now want to make. If you are an avid knitter, then you will love www.knitty.com Poke around the site, you will soon have wondered where the next two hours has gone as you wander the internet halls gazing at all the beautiful, wooly wonders. Inside the Homestead Kitchen I have been busy canning lots of yummy goodness. Pickled Beets & Serrano Peppers are done and I put down so many jars of Tomatillo Salsa I am hoping it lasts until next summer, seeing as I am thoroughly addicted to the stuff. 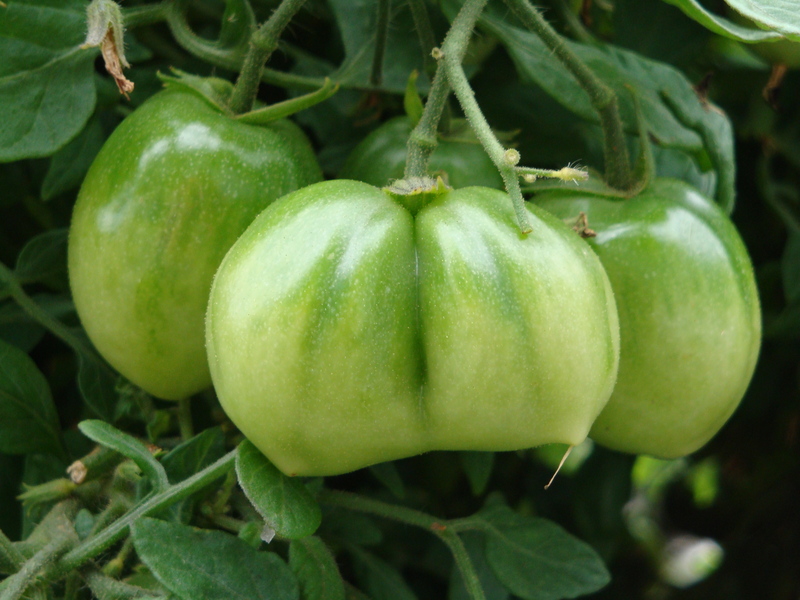 I have also made 2 batches of Spiced Blueberry Jam and Chipotle-Peach Jam and I am now on to making Green Tomato Relish with an over abundance of green tomatoes that are stubbornly clinging to their green hues. 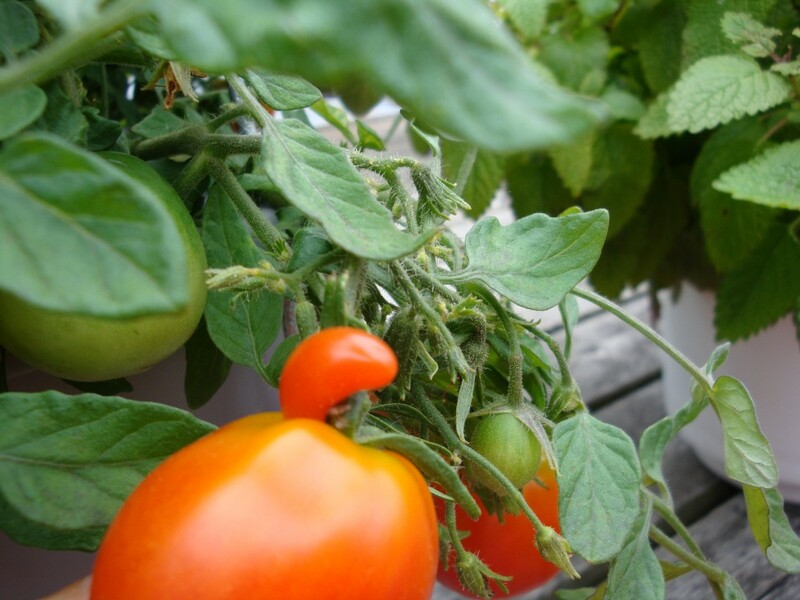 Next week it will be Spicy Salsa and Tomato-Basil Sauce canning time. Then I think my canning pot will get a well deserved rest until next year. I think the best part of summer is getting to preserve all the great produce you toiled over during the past few months. Which leads me to a poll I would like to do…..What are your must-have canning/preserving items to hold you over until next year? After Labour Day, I will do a follow-up post of the Top 10 most canned/preserved items. So anyone that loves to can/preserve food, feel free to list your favourites below. Besides, I am always looking for new ideas to fill the pantry and will gladly accept the suggestions of my great readers! I hope you all enjoy the last remaining days of Summer. Soon it will be a distant memory as we trudge through the slushiness of winter…..I for one am NOT looking forward to it and will be counting down the days until I can start digging into newly thawed ground to start the garden anew. Spending time up here on the Homestead has a lot of advantages. Like watching beautiful sunsets, reading a good book, killing ants by the millions before they invade your house and enjoying the local flora and fauna. Not to sit around too much (idle hands makes for idle brains), I got to thinking….and I have discovered that there is a fantastic by-product to feeding the local Mallard duck population. I have even prepared a Video Tutorial for you too. Please make sure you turn your sound up…. We had the pleasure of our Daughter and her Husband up to the Homestead for 9 days (they left yesterday). 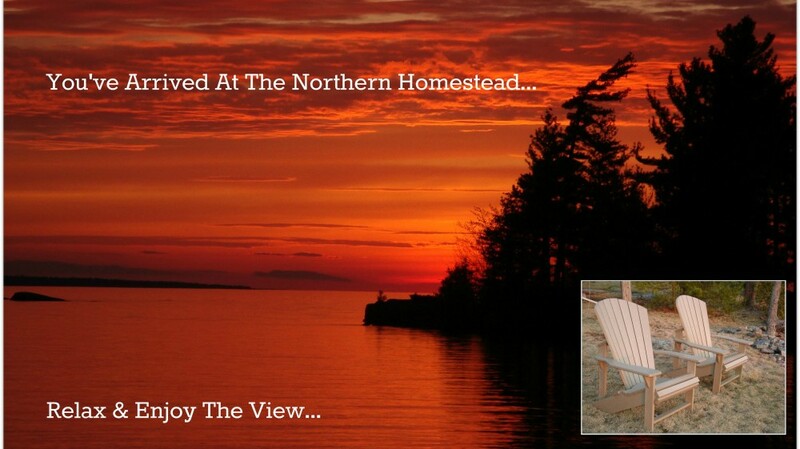 While here, they enjoyed the sun, the stars, the wildlife and kayaking on the lake. Our son-in-law is also a great cook, and I sincerely appreciated the help in cooking duties giving me some much needed breaks from the kitchen. As their time with us was winding down, there was a mish-mash of ingredients and leftovers to do something with. A little of this and that but not enough to make full meals out of. So what to do them? After the dough was sitting and resting, it was time to chop, chop, chop all the toppings, and believe me, we had a HUGE variety of toppings available. Not just the standard pepperoni, mushrooms and peppers, but a huge assortment of meats from the meals of the previous week. 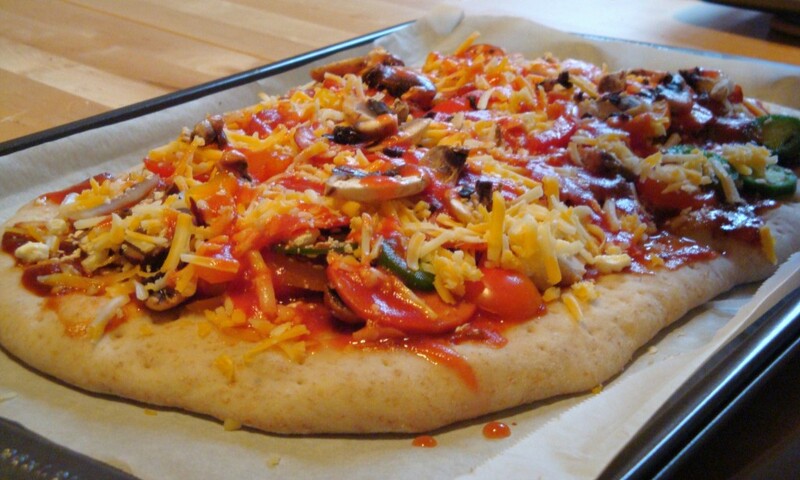 So Son-in-Law gets the idea to have a ‘Garbage Pizza’….basically piling it with as much of the leftovers as possible. This is what he put on his pizza…..
Steak, Roast Pork Loin, Hot Italian Sausage, Spanish Chorizo, Pepperoni, Mushrooms, Onions, Red & Orange Peppers, Jalapeño Peppers, Tomatoes, Cheddar/Mozz Shredded Cheese and Feta Cheese. This thing was piled high. I looked at this thing and thought, no way, knowing him, he would not be able to finish it as he is notorious for showing his ‘full face’…you know, that look you get when you are so uncomfortably stuffed to the gills after a Thanksgiving or Christmas Dinner. So we waited with anticipation for the ‘full face’ to set in……. But this is what we got instead….. He really did eat the whole thing! 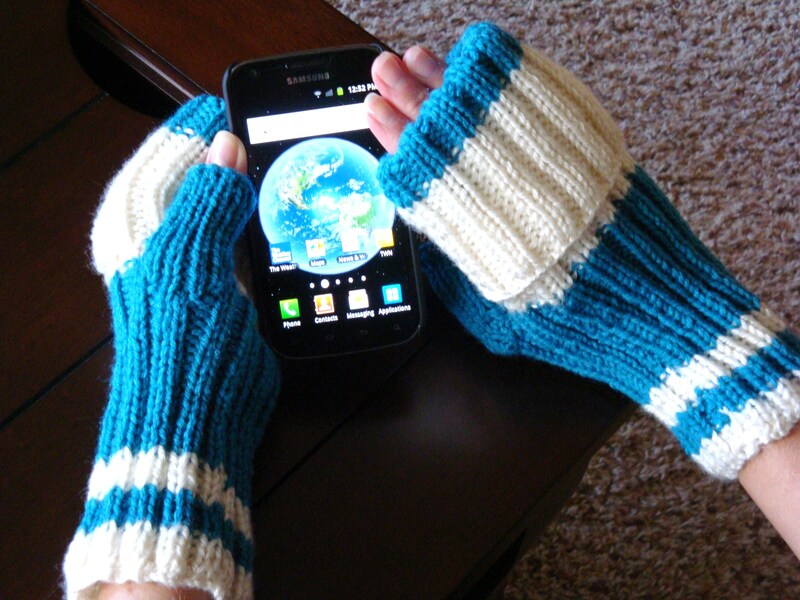 Warm, fuzzy, practical mitts for iPhone users, or any other touch screen electronic device. No longer will you have to pull off your gloves to answer an email or a phone call. Just slide your fingers out the end and you have instant access to your touch screen. 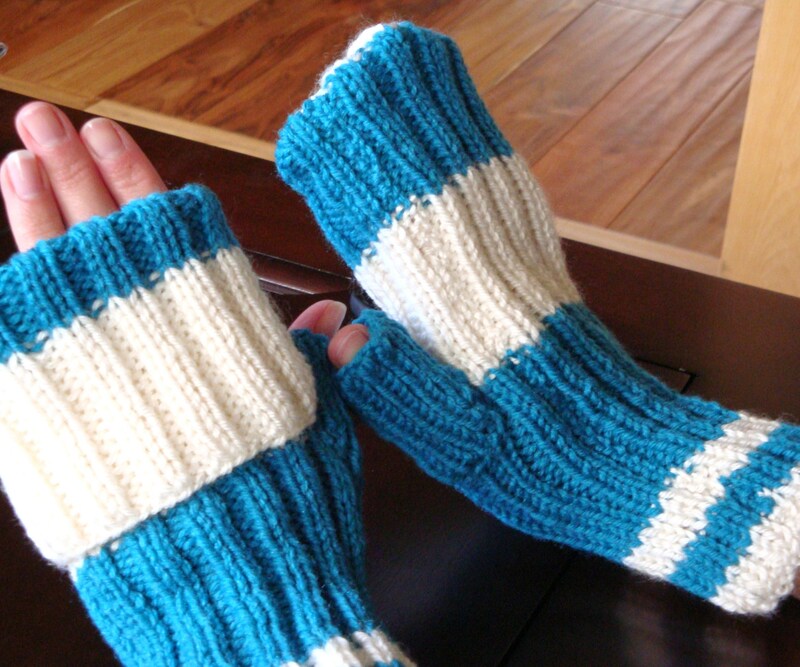 All the while, keeping the rest of your hands warm and cozy. When you need to keep your fingers warm, fold the upper portion in to envelope your fingers. Whether you are digging for your keys in your purse or trying to insert change into a parking meter, these are ideal for anyone that needs quick access with their bare fingers. Also ideal for Realtors trying to open a lockbox in frigid weather as there is nothing worse than your hands going numb while trying to get one of those blasted things open. Trust me! Pattern is for Ladies Small-Medium Size. Adjust Thumb Gusset sizing as necessary for larger hands. Tension: 16 Rows = 2.5” inK2, P2 rib * To Save time, take time to check tension! With 3.0 mm knitting needles and MC, cast on 50 stitches. Work 4 rows K2, P2 ribbing. Change to CC and work another 4 rows K2, P2 ribbing. Change back to MC and work another 4 rows ribbing. Change to 3.50 mm needles and work 18 rows K2, P2 ribbing in CC. Next Row: K2, P2, K2, PM, M1 Purlways, K1, P1, K1, M1 Knitways, P2, PM, Work in established rib to end of row. Next Row: Work in K2, P2 rib to marker, P1, K1, P1, K1, P1, K1, PM, P2, K2, P2. Next Row: K2, P2, K2, M1 Knitways, P1, K1, P1, K1, P1, K1, P1, M1 Knitways, P1, MM, K2, P2 to end of row. Next Row: K2, P2 to Marker, K1, P1, K1, P1, K1, P1, K1, P1, K1, P1, P2, K2, P2. Next Row: K2, P2, K2, M1 Purlways, PM, K1, P1 to next marker, MM, M1 Purlways, P1,K2, P2 to end of row. Next Row: K2, P2 to Marker, K2, P1, K1 to other marker, P2, K2, P2. Next Row: K2, P2, K2, Place next 10 stitches on a stitch holder, Remove other Markers, P2, K2 to end of row. Next Row: Change to MC, K2, P2 rib to end of row. Work 16 rows total of MC. Change to CC and work 16 rows in established rib pattern. Change to MC and work 16 rows rib pattern. To make Thumb: Place 10 stitches from stitch holder onto DPN, Pickup 3 Stitches spaced evenly on either side of thumb gusset. Equally divide stitches onto 3 DPN. Work K1, P1 rib starting with established thumb gusset pattern. Work in rounds until thumb measures 2.5 inches. Cast off in Pattern. To Make Up: Fold mitt in half lengthwise with thumb inside, sew seams flat using matching coloured tails. Turn right-side out. BEFORE you come into contact with it…. 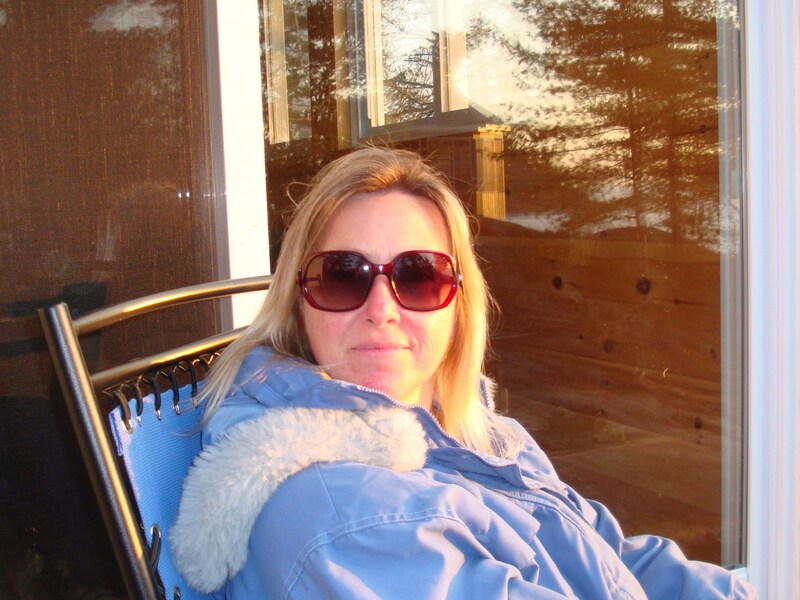 Like my husband did…. One word for you…. I-T-C-H-Y!!!!! As the Old Saying goes…’Leaves of Three, Leave them Be’. The above plant is one of many on the Homestead, this one was trying to sprout where I planted Nasturtiums. It has since been eliminated. There are still many, many of them left around the property, but mostly in places we do not frequent (back bush area). We are now highly mindful of what it looks like and where it is growing. Hubs was trying to pull out some maple tree suckers and weeds by the dock and apparently there were a couple plants of poison ivy amongst them. Within 48 hours, he had an angry, itchy rash showing up on his legs, arms and fingers. I of course then went off to the store and bought a couple bottles of Calamine Lotion, a bag of Cotton Balls and some Benedryl. Which is about all you can do. It then needs to run its course. Along with a heck of a lot of self-cursing for not checking first before he started yanking. My daughter is a Vegetarian. Which can be challenging at times. I think she decided to be one just to make life difficult for her husband (the cook of their family) and myself. Maybe. OK, maybe not. But it sure seems like it at times. She is a VERY picky Vegetarian too. Any dish prepared for her can NOT have any mushrooms in it, and believe me, there are tons of recipes that use mushrooms as a base of vegetarian meals. She hates the fungi. She refers to them as ‘that dark chicken’ from leftovers I gave her of a restuarant dish back when she wasn’t a vegetarian. I passed off the pasta dish to her knowing full well there were mushrooms in it. Let’s just say she wasn’t impressed with her momma that day when she came home from work. But back to where she is now and us trying to come up with new, inventive, tasty, NON-mushroom dishes for her to eat. A person can eat only so much salad. The body needs bulkier items to eat and process. It doesn’t have to be fattening and heavy on the digestive system, but it should make the digestive system work. Over the years I have come up with lots of veggie meals for her, mainly Mexican in origin as there is tons you can do with veggies and beans. But I wanted to try do something Italian, like meatballs. I scoured the internet looking for some vegetarian meatball recipes and surprisingly, came away almost empty handed. The one fairly decent recipe I found was actually for a burger, but with the given ingredients and some that I added, I turned it into Italian Meatballs. 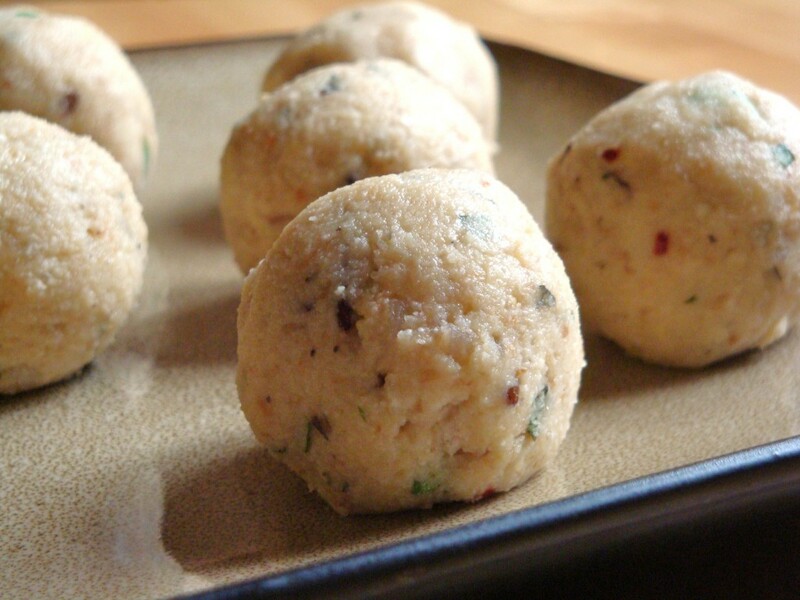 These are more like Matzah Balls in texture, but given the seasonings involved and they way they are cooked, they are a suitable replacement for regular meatballs with spaghetti. This recipe is scaled to make 8 meatballs. So multiply amounts for larger quantities. Heat the Olive Oil over medium heat in a small saucepan; add the brown rice and stirring constantly, cook until the rice starts to turn golden. It burns quickly so keep an eye on it. Add the 3/4 cup water and the red lentils and stir to combine. Bring to a boil; then cover and simmer until water has been absorbed (about 34-40 minutes) and mixture looks like the consistency of cooked oatmeal. Remove from heat and let cool. In a medium bowl, combine the rice/lentil mixture, bread crumbs, parmesan cheese and all the spices. 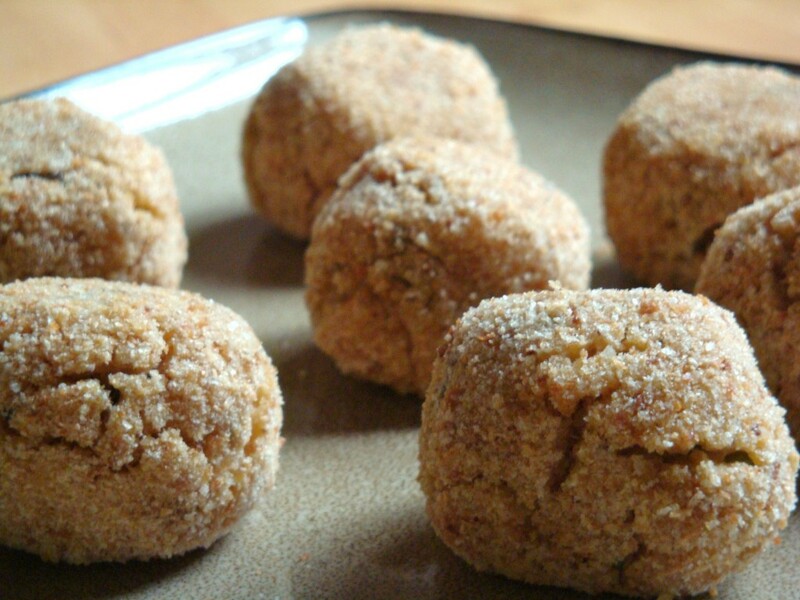 In a seperate small bowl, whisk egg and milk, pour 2-3 Tbsp of the egg/milk mixture into the meatball mixture. Combine well. Divide and shape into 8 meatballs. Place enough breadcrumbs in another small bowl to coat the meatballs. 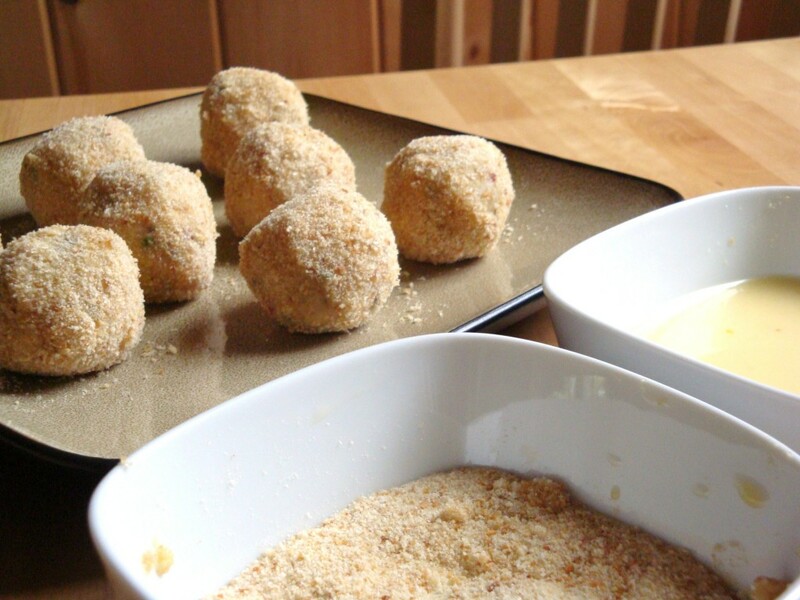 Dip the meatballs in the remaining egg wash and roll in the breadcrumbs. Preheat oven to 375°F. Spray a small cookie sheet with cooking spray and place meatballs on tray. Bake until golden, turning ocassionally to crisp all sides, about 35-45 minutes. Prepare your favourite Spaghetti and Sauce recipes and serve hot meatballs on the side. I haven’t tested to see how they would hold together if heated in the sauce, so best to put the hot meatballs on the dinner plate and spoon sauce over top and serve immediately. She gave them a thumbs up! Human Body parts. I find it utterly amazing when you are going through your garden and you find some pretty freakish looking things. Mother Nature has an awesome, wacky sense of humour. Both of these were found on one of my Cherry Tomato plants. This one looks like a perfect candidate to be a Plumber…..
And the one below? I shall leave that to your imagination….Does Size really matter?